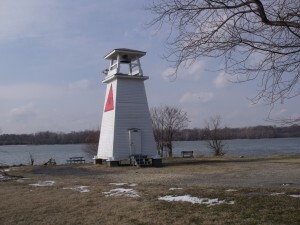 Fort Washington Lighthouse – Chesapeake Chapter U.S.L.H.S. Photo taken in January, 2013 by Tony Pasek. 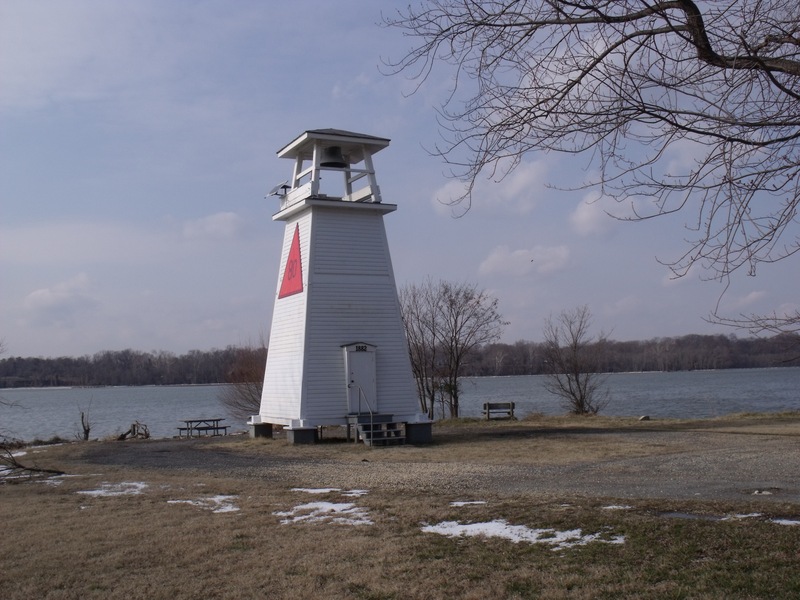 This active light station was established in 1857 at Fort Washington along the Potomac River south of Washington, D. C. The light was authorized by the United States Secretary of War Jefferson Davis, who a few years later became the President of the Confederate States of America. The initial light was an illuminating apparatus on top of an 18.5 foot casted iron pole. The light could be hoisted to the top of the pole in the evening. By 1869 there had been many complaints about the light and the Lighthouse Board ordered a tower constructed, which was in place by February 1870. This new light was more effective due to being closer to the river and having a sixth-order lens. In 1882 the present 32 foot tall wooden pyramidal bell tower was erected. A keeper’s house was completed in 1885. By 1900 the Army had built a pier and gun batteries along the shoreline blocking the view of the light from the water. About this time the Lighthouse Board asked for an additional $1600 to construct a new tower but no money was provided. In 1901, in order to address concerns about the obscured light, the bell tower was modified to raise the height of the bell tower and a small automated fixed white light was installed. At this time period the 1870 tower was taken down. The light is 28 feet above the river level with a range of seven miles. In 1920 the fixed white light was changed to a fixed red light. The station became unmanned in 1954 and the bell mechanism is no longer functioning. In 2005 the tower was turned over to the management by National Park Service.